Press Release – On June 8th, 2017, a suspect identified as Craig Allen Ramos was booked into Rapides Parish Detention Center on an active theft <$300 warrant case that was worked by Sheriff’s detectives. While housed at DC1, Ramos had a cashier’s check brought to the jail so it could be put into his inmate account to purchase personal items. The check was endorsed by Ramos with some of it being credited to his account and the balance was released to a third party. Some of his money was used to purchase personal items through the jail commissary and upon his release on June 14th, a check for the remaining balance of his inmate account was issued to him, as is part of the procedure. Later that same day that Ramos was released, the bank notified the Sheriff’s Office that the cashier’s check was a fake. While the check appeared valid and authentic at first look, with what appeared to be a correct insignia and printed on check stock, both the depositing bank and the bank that allegedly issued the check verified that it was a completely forged monetary instrument. When this was discovered, the case was turned over to Sheriff’s detectives to initiate their investigation. After their investigation, warrants were obtained for Ramos’ arrest and on June 28th, he was located at a residence in Pineville and taken into custody without incident by members of the US Marshals Violent Offender Task Force. While executing a search warrant at the residence, a computer was seized from a hidden room in the house. 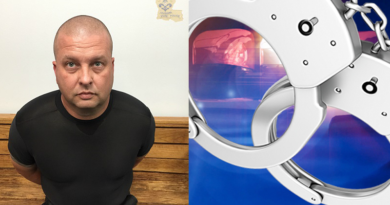 Information obtained from that computer showed that Ramos was altering motor vehicle Insurance Identification Cards to make it appear as if his vehicles had current, valid insurance. Detectives also found multiple check creating and printing software on the computer and numerous attempts to design and create fraudulent checks. The personal information of two other individuals was also discovered on the computer and when interviewed by detectives, those individuals said they did not know Ramos nor did they willingly give their information to him. Both of the individuals reported that attempts to open multiple credit card accounts were made during the time Ramos was in possession of their information. Ramos was booked on one count Monetary Instrument Abuse, Theft $750-$5,000, two counts Theft <$750 and Criminal Conspiracy from the original investigation. 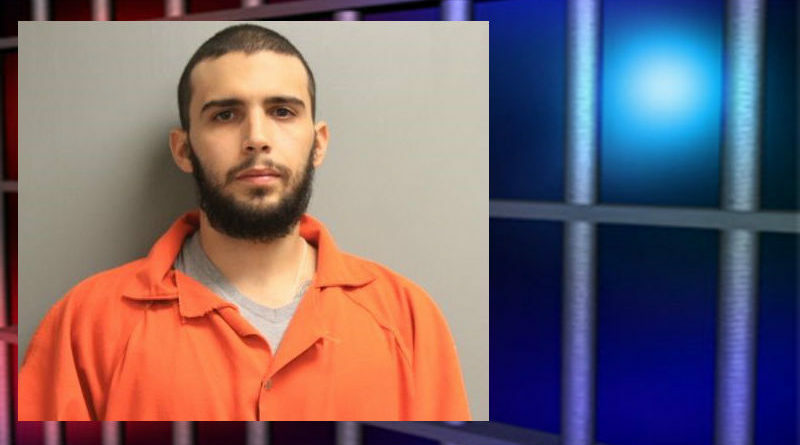 As their investigation broadened, detectives determined Ramos was also using the computer to design and create documents depicting several Louisiana Identification cards and at least one Louisiana Driver’s License with fraudulent information. Ramos has remained in jail since June 28th and as their investigation continued, detectives obtained more warrants on Ramos for various other charges. Ramos was re-booked on these new charges on August 7th and remains in jail on a $69,000.00 bond. Detectives say their investigation is still ongoing and more charges are possible. New measures on accepting inmate fund payments have since been implemented so this may be prevented in the future.